and Mograph-Effector-Falloffs in a rather complex scene. So, this is what this little script does. [CTRL-Click] for Reset. [SHIFT-Click] for Solo. 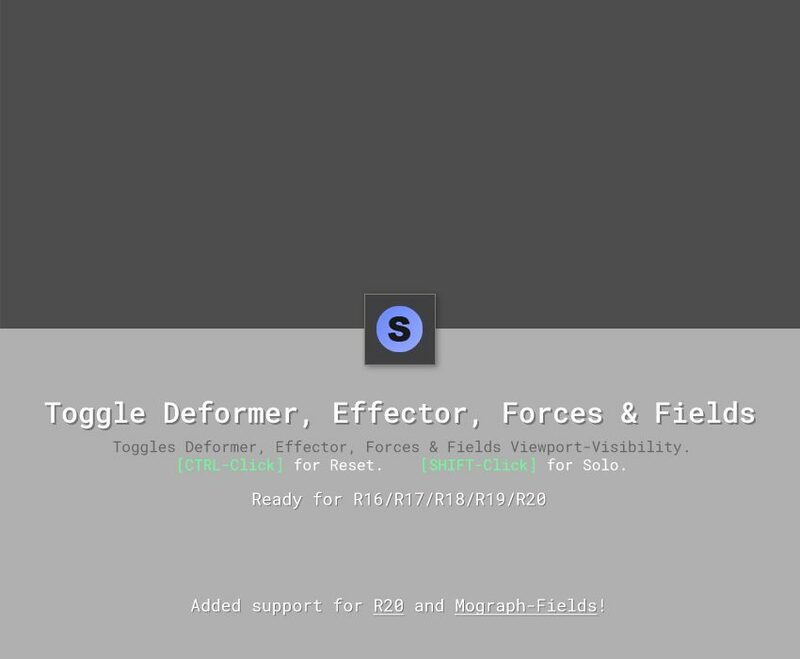 Added support for R20 and Mograph-Fields! Copyright Lasse Lauch 2019. Made with in Hamburg, Germany.